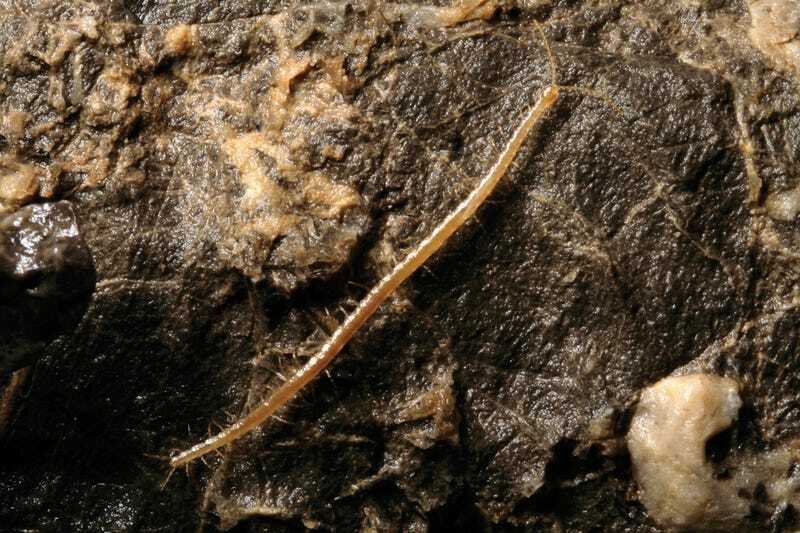 This is a photo of Geophilus hadesi, a centipede found in caves that reach 4,7000 feet underground. The bug-phobic have every right to do a full body shudder right now. The specific epithet derives from Hades, god of the underworld in Greek mythology and husband of Persephone, in analogy with the name of the only other known troglobite in the genus. No word on whether or not Geophilus persephones lives in caves because of some pomegranate seeds. Also, the naming is so apt it doesn’t matter that Persephone famously only lives in the Underworld for half the year.